Venue: Leibniz Institute of European History (IEG), Mainz, and Museum Judengasse, Frankfurt a.M.
Shtadlanut (intercession) is generally perceived as a Jewish political practice or as Jewish diplomacy. It was often closely connected with “righteous” and charitable activities (tzedakah) within the Jewish community. Whereas the Jewish welfare system and charitable activities were already highly developed in the medieval times, shtadlanut had its first heydays in the early modern period. In Western and Central Europe wealthy Jewish court factors and in Eastern European communities the shtadlan (Jewish representative) became integral parts of the Jewish communal and inter-communal structures. During the 19th and early 20th century, both shtadlanut and tzedakah changed fundamentally. While Jews were offered emancipation, which demanded certain degrees of inclusion, acculturation and sometimes even assimilation, Jewish intercession and solidarity seemed to remain important due to an incomplete integration and increasing anti-Semitism. Thus, the workshop took a fresh look at the traditional understanding of shtadlanut and tzedakah and examined how both ideas and practices were interrelated and changed over time. Consequently, the workshop addressed the following questions: How did Jews represent and negotiate their interests and “otherness” in different societies? Why and how could they receive special cultural, economic, and legal status from the early modern period up to the 20th century? How influential were the concept and practice of tzedakah in Jewish political traditions? And finally, how have intercession and welfare been adapted in the course of the modern era? The keynote of NOAM ZOHAR (Bar Ilan) opened the workshop at the newly renovated Museum Judengasse in Frankfurt am Main. In his lecture, Zohar discussed selected passages from the Talmud, Midrashim, and also rabbinical responsa from the Middle Ages, and traced back Jewish political thinking to the beginning of the Jewish diaspora. His inter-textual approach revealed a long durée perspective on the subject of a Jewish political tradition that included perceptions and ideas of authority and membership but also morals of charity and welfare. Despite its idealistic origins and rhetoric, humanitarianism has increasingly been seen as becoming economic enterprise and a political tool for controlling territories and governing international relations. But one has to ask how positions within the spectrum of humanitarian action are influenced by different epistemologies and applications of international law. 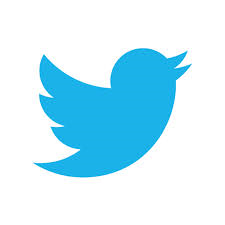 What is the complex relationship between values and practice? What is humanitarian action intended to be and what happens on the ground? In his edited volume, Antonio de Lauri has gathered authors from a variety of disciplines to provide a comprehensive critique of the humanitarian enterprise. Combining international case studies with critical theoretical evaluations, and including chapters on international aid, refugees, childhood and women’s rights, Antonio de Lauri’s edited book offers a critical analysis of the contemporary humanitarian system. Antonio de Lauri, Ph.D., is assistant professor of anthropology and cultures and societies of the Middle East at the University of Milano-Bicocca. Among others, he was awarded fellowships at the Colombia University in New York and at the Forum Transregionale Studien in Berlin (as Rechtskulturen fellow of Humboldt University and the Institute for Advanced Studies). Antonio de Lauri’s specializing fields are in legal anthropology and Afghan studies. The book is: Antonio de Lauri (ed. 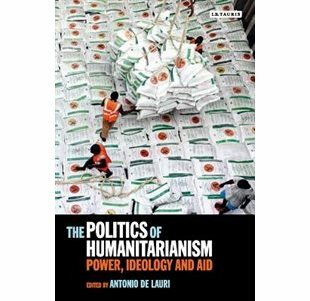 ), The Politics of Humanitarianism: Power, Ideology and Aid, London: I.B.Tauris 2016. The 18th century saw the beginnings of the discourse on what we understand today as “minority” and “human rights” as well as “international law”. The same is true for the use of the term “diplomacy”. However, already in 1716, François de Callières (1645–1717), a minister of Louis XIV of France and member of the French academy, termed the practices of diplomacy avant la lettre perhaps in the most concise way in his treatise De la manière de négocier avec les souverains (“On the Manner of Negotiating with Princes”). De Callières advised counselors and ministers in his manual about self-control, discretion, and patience. He also recommended an interest-led negotiating style. A good mediator should always try to formulate his proposes according to the interests of his partner and should constantly point out the mutual advantages. Furthermore, the minister emphasized that the negotiating partners should always seek for a permanent, stable relationship. So long before the concept of “diplomacy” existed and the discourse on minorities and human rights emerged, there were related practices that ensured the intercession for individuals and collectives in previous time periods, the strategic representation of interests and political negotiations. These practices of negotiating and intervening existed in various societies and they were also part of the Jewish culture. I would like to draw your attention to the “Völkerrechts-Blog” (blog on International Law) that is online since April 2014. The “Völkerrechts-Blog” has been initiated by a group of young scholars coming from Germany and Switzerland with a background in political sciences and international relations researching in the field of public international law. The bilingual blog (German/ English) is being supported by an advisory board of scholars from Germany, Switzerland, Austria, South Africa, and the United States. Besides a “Link” list with essential links related to the subject and a “Services” section with posts on job vacancies, references to conferences or any other related announcements, you will find contributions to fundamental issues of international relations and law such as the role of language in international law, thought-provoking discussions, for example on theoretical and methodological perspectives, and not least responses to current developments and debates. Moreover, the contributions refer to topics such as the future of human rights and legal questions relating humanitarian interventions. Since October 2009 exists the research network Recht im Kontext at the Wissenschaftskolleg zu Berlin (Institute for Advanced Study), funded by the state of Berlin. Recht im Kontext aims at a better re-contextualization of the law among its neighboring disciplines. It seeks to initiate new forms of dialogue and to create discursive structures between the law, the humanities and social sciences. This will confront the law and legal scholarship with other disciplines’ concept(s) and perception(s) of law. The research network also launches a blog entitled Verfassungsblog. On Matters Constitutional. The spokesman of Recht im Kontext is Christoph Möllers, Professor of Public Law and Jurisprudence, Faculty of Law, Humboldt-University Berlin. The academic coordination of the research network is in the hands of Alexandra Kemmerer. One essential topic of Recht im Kontext is the question of human dignity and rights. Between June 20 and 21, there will be a conference on “The Concept of Human Dignity in a Comparative Perspective – Cases and Developments”. As soon as there is more information about the event, we shall post the program. For now please have a look at the schedule of the research network. At present, many young international scholars, including several colleagues here at the IEG, conduct research on their own which extends or differentiates the debate on the sources and trajectories of humanitarian norms and human rights. By creating this blog we want to give them a forum to get closer in contact with each other, to articulate their ideas, to exchange information and knowledge, to present perspectives from different backgrounds, and to share the same interest on the history of humanitarianism and human rights.